Question: If, as CEO of a company, you personally and passionately oppose Facebook’s Privacy policies and methods, would you withhold having any presence on the site, regardless of what it may cost you? I’m an advocate for intelligent adoption of emerging technologies and media for individuals, non-profits and businesses. I believe they can be useful, pliant and remarkable tools as part of larger internal and external strategies. But I also believe that the uses of these media need to be integrated in accordance with the specific needs and resources of an enterprise within the larger contexts of what it means to do business. But one matter is often overlooked, which is what I raised in the question above. What if you believe that a particular medium is run by a company who – in your eyes – has questionable or no ethical standards? Would you shrug off the matter and ultimately decide that you need to reach your customers on Facebook or Twitter or on any other medium which you don’t own and have no say in? 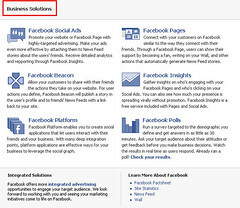 After all, when you set up a Facebook Page, you’re effectively entering a business relationship with Facebook – even if you don’t run ads or otherwise cut a check. Just as any smart and ethical executive would question entering a partnership with an un-trustworthy vendor, shouldn’t executives similarly consider the trustworthiness of the companies who run media sites? I won’t answer the question here. But I would suggest, that executive leaders (and agencies) fully understand not only the properties of the media companies they use but also the ethical values and practices those companies employ. We are living in a time when leaders must possess a minimal understanding and proficiency of emerging media. That entails not only a technical understanding of them but also an ethical wisdom and awareness. Companies, and the agencies that advise them, must never forget the fundamental dividing difference between traditional media (print, radio, TV) and emerging media (Twitter, Facebook, Blogs, Forums): the former are hardware while the later are software. Hardware is relatively static and straightforward. Software, on the other hand, is pliant, elusive and unpredictable. Facebook isn’t a as much a medium as it is software. Thus the ethical thinking on media like Facebook, must take this key difference in mind. If, as CEO of a company, you personally and passionately oppose Facebook’s Privacy policies and methods, would you withhold having any presence on the site, regardless of what it may cost you?